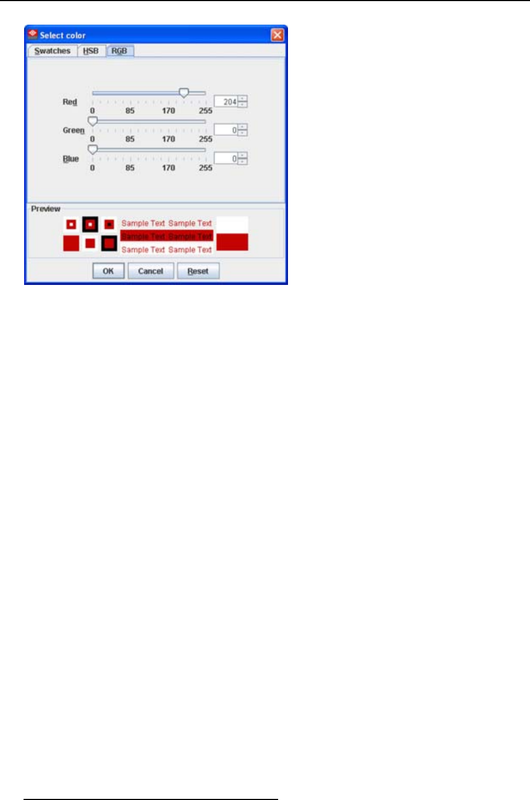 The Graph properties dialog box opens (b). 3. Check the check box next to Use background image (c). Note: Only jpg, gif and png ﬁle are allowed. 5. Browse to the desired image (d4) and click Open (d5). height (e). To keep the original aspect ratio of the image, activate button Keep aspect ratio (f). 7. To tile the image over the complete canvas, check the check box before Tile image (g). by clicking in the input ﬁeld next to the slider and entering the desired value with the keyboard.